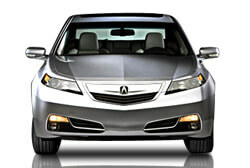 We know that you need your Acura to be a reliable source of transportation. Here at Hollin Hall Automotive, we have hired ASE Certified Technicians who are specially educated with the Acura vehicle. Regardless of the year or model, you will find a qualified mechanic ready to service and repair your vehicle. With routine maintenance taken care of, your Acura can stay on the road for hundreds of thousands of miles. Talk to one of our team members today to see what we can do for your Acura.